Arizona is in a very fortunate position. 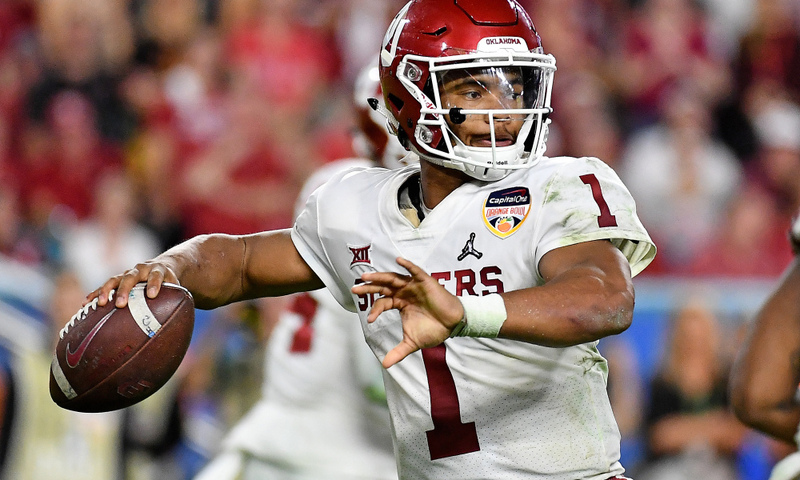 After drafting Josh Rosen with their top pick last year, they don’t have a need for a quarterback, which opens the door for them to make a trade with a team who does, similar to what Tennessee did in 2016, and command a king’s ransom. 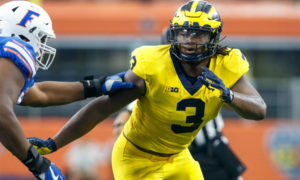 On the other hand, they can keep this pick and opt to go for the best available player, which in this class is Bosa, the younger brother of Chargers edge rusher Joey. 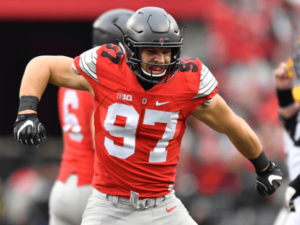 Bosa checks off all the boxes when it comes to an edge rusher, he can shed blocks, handle double teams, is a skilled hand fighter and can win battles on the edge in multiple ways. Bosa and Chandler Jones would give the Cardinals a fearsome duo. Much like the Cardinals, the 49ers don’t have a need for a quarterback. They signed Jimmy Garoppolo to a megadeal last offseason, but he missed most of 2018 with a torn ACL. San Francisco is a talented team who was torn apart last season with injuries and while trading down is definitely an option, I think going for the best talent available is the better move. 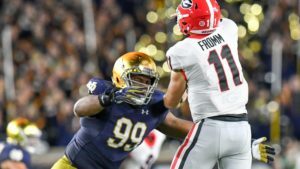 The 49ers have heavily invested in their defensive line in recent years, using first round picks on Solomon Thomas, DeForest Buckner and Arik Armstead, but teams have shown that they aren’t afraid to continue to build of the defensive line. Not to mention, Armstead is in the final year of his deal and Buckner is in the same situation in 2020. 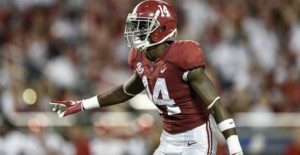 Williams skyrocketed up draft boards following an incredible season at Alabama. His lack of experience may be a concern, but given his elite level of play, the reward outweighs the risk. 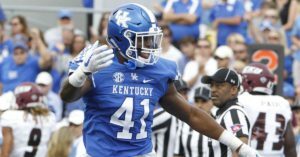 Another team without a need for a quarterback, the Jets could trade down, but I think ultimately they go one of two routes – Florida tackle Jawaan Taylor or Kentucky edge rusher Josh Allen. Scheme-wise, Allen is better suited for a 3-4, which the Jets run and he would provide a needed upgrade to their pass rush unit. Allen is athletic and has a repertoire of moves. The scary thing is that some teams think he still has room to improve. Derek Carr’s contract became fully guaranteed this week, so, unless he is traded, I doubt the Raiders will take a quarterback with their top pick. Instead, they can use a boost to their pass rush which mustered just 13 sacks after trading away Khalil Mack. Gary is more than just a dynamic edge rusher, he is stout against the run and has the versatility to play end or tackle. He oozes with athleticism, but wasn’t the most consistent pass rusher at the college level. Donovan Smith is scheduled to hit free agency. He has struggled to protect the blindside of Jameis Winston since both entered the league in 2015, so it’s hard to imagine the Buccaneers bring him back. 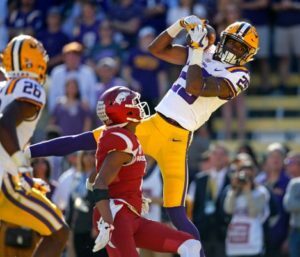 Cornerback is a position of need too. 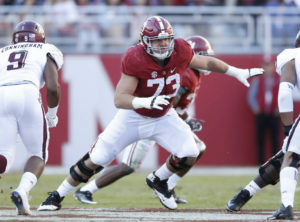 Taylor is big (6-foot-5, 334 pounds) with swift feat who can pack a punch that is rising up draft boards. It appears that most of his flaws are coachable. A dream scenario for the Giants: they are able to get their quarterback a year after passing on a plethora of options at the position in favor of Saquon Barkley. The issue, however, is that they have to worry about other teams trading up and therefore may need to trade up themsevles, like the Jets did last season. 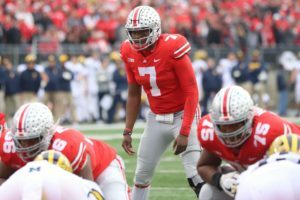 Haskins was a one-year starter at Ohio State, but showed he wasn’t afraid to throw into tight windows and has a quick release. He’s not much of a runner and his lack of mobility to evade sacks and extend plays could be an issue at the NFL level. 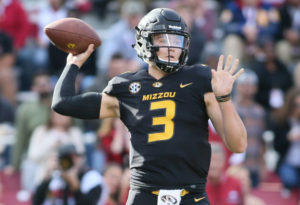 Jacksonville is moving past Blake Bortles, but I wouldn’t rule out the Jaguars opting to sign a veteran quarterback instead, especially with the amount of talent on their defense. Murray is a tough prospect for me. He has the talent to play the position, but I am concerned by his lack of size and the fact that he has a MLB contract with Oakland. 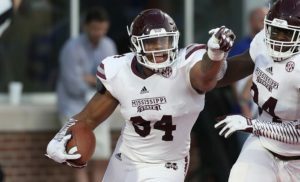 While each day, it looks more and more likely that Murray will opt for the NFL over baseball, at 5-foot-9, 195 pounds, he is both shorter and lighter than Russell Wilson, Drew Brees and Baker Mayfield and that lack of size combined with his mobility could lead to an increased of chance of injury at the NFL level. Darius Slay is a solid cornerback, but the Lions have struggled to find a solid No. 2 to line up across from him. The Lions have a number of needs on all levels of defense, so it’ll be interesting to see how they tackle free agency this spring. With Kyle Williams retiring, the Bills are razor-thin at the defensive line. 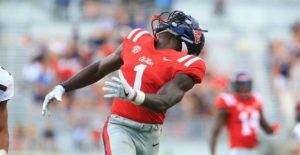 Oliver, one a top high school recruit, slips a little bit in this draft, but is a tremendous value for the Bills at No. 9. There are several reports that the Broncos are smitten with Lock and see him as the top quarterback in this class. 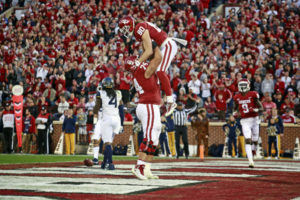 While his 6-foot-4 frame is small by John Elway’s standards, he has the ideal height with a big arm that has drawn comparisons to Patrick Mahomes. Missouri had two head coaches and three offensive coordinators while Lock was enrolled, which means he spent a lot of time learning a new system over developing. Because of this, Denver may need to sit him for a year. 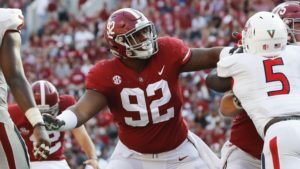 Ford was a mammoth right tackle for the Sooners, but I think his lack of athleticism will lead him to playing guard in the NFL, but either way he is an upgrade for a Bengals offensive line that needs an overhaul. There is a chance that Clay Matthews is released, but even if Green Bay opts to keep him, Matthews is no spring chicken and the team had little to no depth on the edge. Sweat can get to the quarterback, but he’s a little light and not consistent in run defense. With Ryan Tannehill’s roster status up in the air, there is a good chance the Dolphins release the former first round pick and get $13.2 million in cap space. 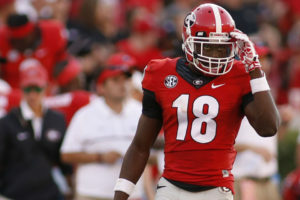 Jones’ strength is his ability to read defenses well, which he does with pre-snap adjustments and uses his eyes to draw away safeties, but his arm strength is underwhelming and he does has an issue with fumbling. 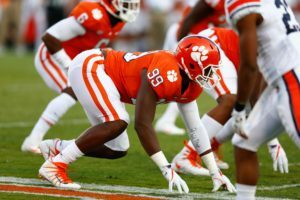 With Grady Jarrett and Terrell McClain set to hit the market, defensive tackle is a position of need in Atlanta. Simmons is not only a quality run defender, but he brings much desired interior pressure on passing downs too. 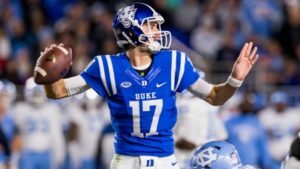 All first-round worthy quarterbacks, including Daniel Jones, who Washington reportedly covets, are gone. The Redskins are a trade up candidate in the wake of what could be a career-ending injury for Alex Smith, but if they miss out on the signal callers, their fallback option should be replenishing a weak group of receivers. Julius Peppers has retired and 31-year-old Mario Addison is in the final year of his contract, so the Panthers need to bolster their pass rush. 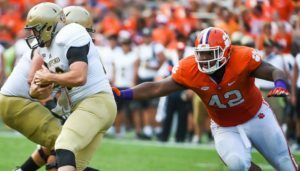 Ferrell doesn’t have the top end speed to blow by pass blockers, but has sound technique that helps him win the battle in the trenches. Cleveland had one of the worst run defenses in the league last year, punctuated by the 20 touchdowns they surrendered on the ground, second only to Arizona. Defensive tackle is definitely in play and Jeffrey Simmons name has been linked to the club, but he is gone. 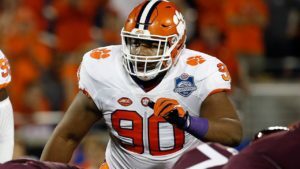 Wilkins isn’t a bad consolation prize and a talented player who falls due to a draft class loaded with talented player of the same position. The Vikings let Kirk Cousins get absolutely massacred last season and protecting their $89 million quarterback should be the priority of the offseason. Williams is a bit of a polarizing prospect. 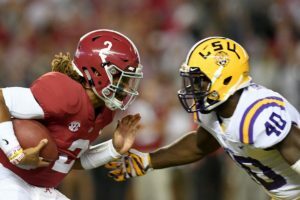 He won’t be your blindside protector mainly because he struggles with speed rushers, but some teams believe he is better as a guard than a tackle. 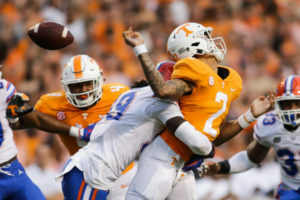 Tennessee has a number of needs and options available, but I will stick with best player available and get them a new edge rusher to line up across from Harold Landry. Brian Orakpo retired last month and Derrick Morgan is entering free agency. 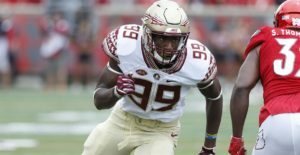 Polite has drawn comparisons to another former Florida and Titans player, Jevon Kearse. 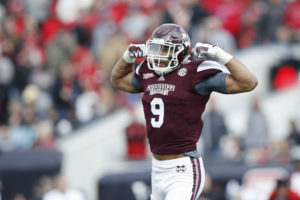 Still looking for the replacement in Ryan Shazier, White gives the Steelers an athlete in the middle who should be able to perform well in coverage at the NFL level. 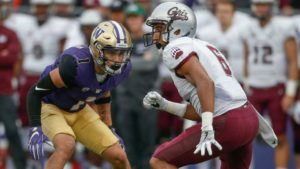 Seattle’s one elite secondary has been broken up and needs to be repaired. 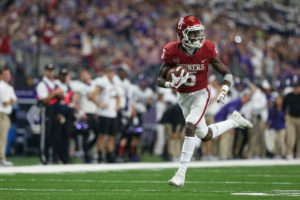 Baker is athletic and can cover big receivers, but lacks speed. Now that the Ravens have ushered in the Lamar Jackson era, they need to get him better weapons. Harry makes the most out of his 6-foot-3 frame and is dangerous after the catch, but will need to work on his route running. Houston has to do something about the pathetic play at tackle. 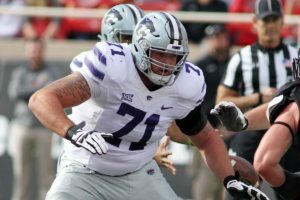 Risner needs to bulk up and he won’t be a left tackle at the NFL, but he has been one of the most productive players in college and consistently protected his quarterback. Oakland used their top pick to get a pass rusher, now they look to upgrade their secondary. 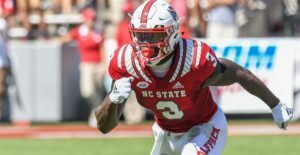 A PFF darling, Murphy has a nose for the ball and excels in man coverage. With Golden Tate hitting free agency, the Eagles again need a receiver to line up across from Alshon Jeffery. Harmon is 6-foot-3 and wins 50-50 balls, but doesn’t have the best hands out there. 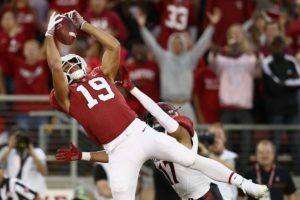 The Colts need another reliable receiver aside from T.Y. Hilton. The speedy Brown can help stretch out defenses for Andrew Luck. Oakland again upgrades their secondary, this time addressing their safeties. Karl Joseph played better after an early season benching, but Marcus Gilchrist should be replaced. Brandon Mebane is a free agent and Corey Liuget could be released, giving the Chargers a need to upgrade their defensive line. 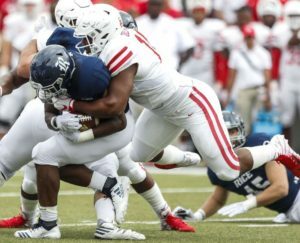 Lawrence is a big defensive lineman with even bigger potential. Secondary is an obvious need, but Dee Ford is set to hit free agency and Justin Houston could become a cap casualty. Burns needs to bulk up before playing in the NFL and is a liability against the run. Jimmy Graham wasn’t the player the Packers hoped he would be and he may be released this offseason. Greg Little could be an option here if Andrew Whitworth retires, but with Ndamukong Suh hitting free agency, defensive tackle is an issue that needs to be addressed. Julian Edelman was a major factor to the Patriots postseason run, but New England desperately needs weapons. Rob Gronkowski may retire, Josh Gordon may never play again and the second best receiver in New England is running back James White.